Soak all the Ingredients for 15 mins. Knead well until it gathers into a dough. 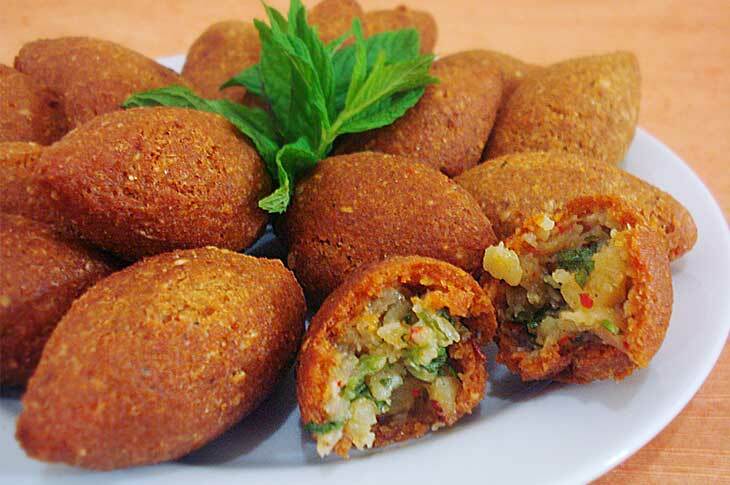 Shape into kibbeh form filling them with the filling you have prepared. Deep fry the kibbeh until brown.